Khensur Rinpoche Lobzang Tsetan, Siddartha School Project Founder is a Buddhist monk from Ladakh, India. 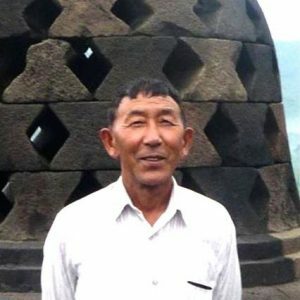 In 1952, when he was fifteen years old, he walked with his father from Ladakh to Shigatse, Tibet to enter the renowned Tashi Lhunpo Monastery. After the occupation of Tibet by the Chinese government, Rinpoche returned to India and received his Geshe degree from Drepung Monastery in 1984. In 1995, Rinpoche founded the Siddhartha School in his home village, Stok, Ladakh, India. The school seeks to honor Ladakh’s Buddhist culture and language while giving the children of this remote Himalayan area a well-rounded education. In July 2005 H.H. Dalai Lama, appointed Rinpoche to be the head abbot, or Kachen, of the Tashi Lhunpo Monastery in southern India. Khensur Rinpoche has been traveling and teaching in the United States for over thirty years. Laura Kozaitis is a co-founder of the Siddhartha School. She began traveling to Ladakh 1989 for her research on Himalayan art under the guidance of her Smith College professor, Khensur Rinpoche. In the summer of 1993, at his request, Laura wrote the original proposal for the school. She led the first board of SSP, a small, devoted group of individuals from Harvard and Maine, opening of the school in a rented room 1995. Since 2012, in partnership with SSP’s Board of Trustees, Laura stewarded significant development and growth for the organization, first as a volunteer and then as SSP’s executive director, quadrupling donation revenue and overseeing capital campaigns for the campus to provide running water, new toilet blocks, washrooms, a computer lab, boys’ and girls’ dormitories, and the highly anticipated multipurpose hall. Annual donors to SSP have increased fivefold since 2014 thanks to her deliberate focus on meaningful donor relationship building. Aviva Shaw has worked in nonprofit business management for over 11 years for a number of local Portland, Maine nonprofits. She was the operations manager of Siddhartha School Project from 2013-2018, serving alongside Executive Director Laura Kozaitis as the project experienced rapid growth and development in the last five years. Giving back to her community of Portland, Maine is also an important part of her life. Aviva has served on multiple nonprofit boards and committees in her local community over the last 10 years, working on everything from fund-raising campaigns to events and more. She lives in Portland with her husband, Jeff Shaw, and three children: Brayden, Piper, and Silas. Sara Crisp is an artist passionate about learning, believing in the power of education to usher in profound change while deepening life’s meaning and purpose. Sara has mounted solo exhibitions throughout New England and New York. She is represented exclusively by Denise Bibro Fine Art in New York City and has participated in numerous group exhibitions receiving numerous awards and reviews. 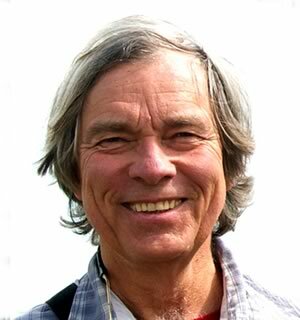 Bruce Nichols first encountered the Siddhartha School while traveling in Ladakh in 1996. He has served on the board for over a decade and helped the Siddhartha School Project gain its 501(c)(3) status in 2004. In addition to his work with the Siddhartha School Project, Bruce also serves on the boards of Friends of Peace Pilgrim and the Shelton Land ConservationTrust. Bruce enjoys a deep connection with the natural world which he manifests through his outdoor photography and long walks. Suzy Franczak Davis is a film producer. Her main focus is to develop storytelling and social entrepreneurship. Suzy is co-founding partner of Huma, a production company that creates worthwhile content inspiring people through narratives and documentaries and a founding member of WIFT Brazil (Women in Film and Television), an organization dedicated to advancing professional development and achievement. Sydney is an entrepreneur and founder of two marketing, communication, and business development strategy firms — Mayotte Young and BrandedSac. Her client engagements have ranged from medical device start-ups, multigenerational, family-owned businesses, international law firms, established corporations, and nonprofits, to governmental organizations. She is known for her keen understanding of what is required to move a company forward, both at its initial launch and during times of change. Giving back is an integral aspect of her counsel to clients, and she has overseen the establishment and operation of community-giving programs at a number of companies. Her nonprofit and community engagement work has focused on education, the arts, and at-risk children. Before their move East, Sydney and her husband had served on the board and as volunteers at the Sacramento Children’s Home, a level 14 care facility. She has served on numerous boards including the Sacramento Ballet and as president of the board of the Sacramento Valley Forum (an economic development organization) and the University of the Pacific Alumni Association. She was an advisor to the Childs Center for Entrepreneurship at the University of California, Davis. Robert Langan is a New York City psychoanalyst and longtime Buddhist practitioner who first met Khensur Rinpoche in the early 1990’s, then on an American tour to raise funds for the launching of the Siddhartha School. He was impressed by Rinpoche’s charm and enthusiasm, by the evident need for a coeducational enterprise blending Western knowledge and Buddhist wisdom, and impressed even more so by the opportunity to sponsor a girl in that first year first class, year by year and grade by grade, as she grew up with the school. The relationship that developed via letters and drawings and photographs (even without physically meeting!) continues to this day. 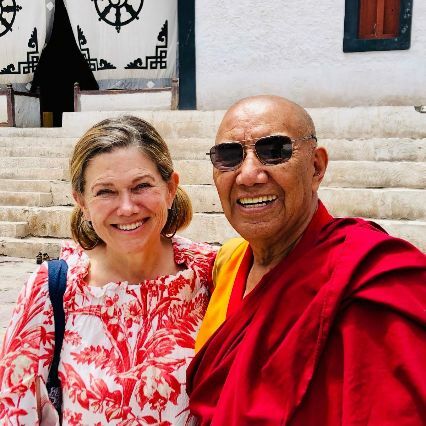 Bob and his wife, Sara, are avid supporters of the school, and are dedicated to seeing it well established, promulgating well into the future its mission of teaching how to live with know-how and compassion, both in Ladakh and in the wider world. Sir Eshay Tondup is a longtime Siddhartha Culture and Welfare Society board member (SSP’s Ladakh board) and Siddhartha School’s Management Committee chair. For over 22 years, Sir Eshay served as Lamdon School’s principal, overseeing the institution’s growth and development to set the standard for education in Ladakh. He retired in June of 2018. Before he joined the Lamdon School, he served in the Jammu and Kashmir State Education Department for 22 years on different posts and left the department on premature retirement to join Lamdon School. Khensur Rinpoche Lobzang Tsetan, Siddhartha School’s founder, reminds us that the literal translation of Sir Eshay’s name is, most appropriately, “vision realizer.” Sir Eshay has dedicated his life to realizing a better educational experience for generations of Ladakhi children. He has worked with Lamdon, Siddhartha, and many other local schools in the Ladakh area. We are so fortunate to benefit from his activism! Geshe Tsewang Dorje is an eminent Ladakhi Buddhist scholar, teacher, and administrator. He is the founding director of the Ngari Institute of Buddhist Dialectics in Saboo, Ladakh, a youth hostel and cultural centre with comprehensive facilities to provide the children with the resources and shelter they need to attend area schools. This project was endorsed by the Office of His Holiness, the 14th Dalai Lama in September 2008. 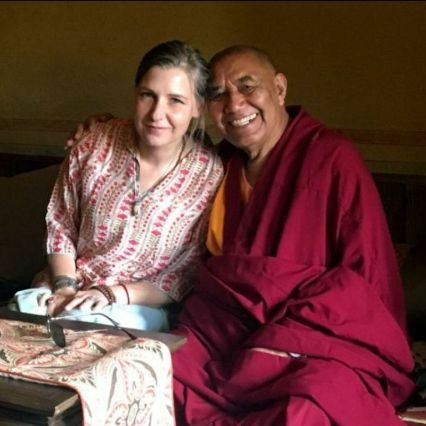 In July of 2014, Geshe-la became the new Director of the Siddhartha School when Khensur Rinpoche, the school’s founding director, retired in 2013, after 20 years of dedicated service. Geshe-la teaches at several dharma centers in the international Buddhist community, including Theken Choling in Singapore and a Vietnamese Monastery in San Francisco. Jennifer Spatz is Founder and CEO of Global Family Travels and has been blessed to visit Siddhartha School while leading trips to Ladakh. Jennifer graduated from High School in Vienna, Austria and received her B.S. in Anthropology and International Political Science from Bates College in Maine, and a M.S. degree in Agricultural Economics from Purdue University. Prior to founding Global Family Travels, she spent her career in international development, trade and finance, traveling extensively for work in Asia, Europe and the Middle East. Jennifer is the mother of two children, and designs Global Family Travels’ tours with immersive activities for kids of all ages in mind.